Made from china, the Wild Dining - Panda plate will bring a touch of fun to your dinner table. Completely dishwasher safe, the plate features a quirky panda design that is sure to put a smile on any diner's face. - L.M. Not regular depth between all the plates, one was more like a bowl!! I purchased all 4 dinner plates and all 4 side plates. They all came in individual boxes with gorgeous artwork on them and all were padded with bubble wrap. The plates are almost too good to eat from. Dishwasher and microwave safe too! Perfect Christmas presents to myself!! 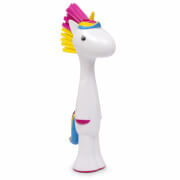 Bought as a Christmas present for my daughter who loves them. 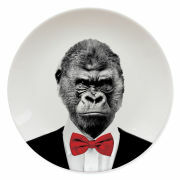 Good quality, unusual plates. Love this whole range of plates. Originally bought for my children, this purchase was for my sis in law as she loves them too!! 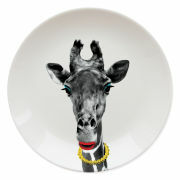 I Love these wild dining plates I bought the complete set for a gift. The gift was a complete hit. Great fun! I've ordered a few of these now, just extra to our usual dinner plates. Always great value & fast delivery. They are really quirky & I've had lots of comments about them, especially when people realise we have more than one. The dinner plates are smaller than I expected - more lunch plates or child's dinner plates, but it's no issue for us as they are extra plates. I love the design, very fun. Would definitely recommend. Am thinking of getting some more for gifts for the friends who commented on them! I'm very happy with the purchase, quick delivery to Spain and great quality. This is proffesional service. I bought 4 from this range as a birthday gift - the print quality on the plate is very good and colours nice and vibrant. The plate size is a little smaller than a standard dining plate but other than that I'd recommend these.